Hemi Walker is a Folding Walker designed for people who have the use of only one arm or one hand. This Folding Hemi Walker offers individuals greater independence and Mobility. 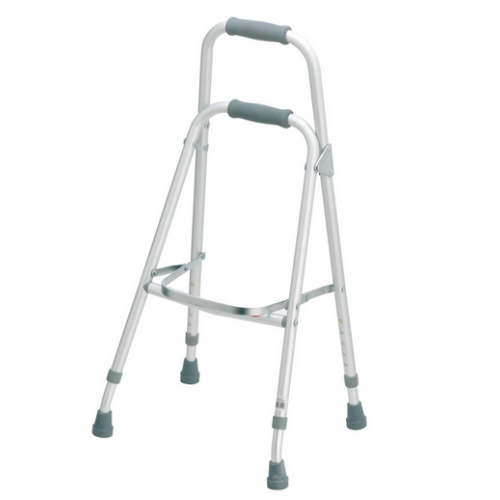 The height of this walker provides ergonomic paddle buttons that can be depressed with the palm of the hand for easy folding and unfolding. The Hemi Walker handles "lock-in" position when the walker is opened. 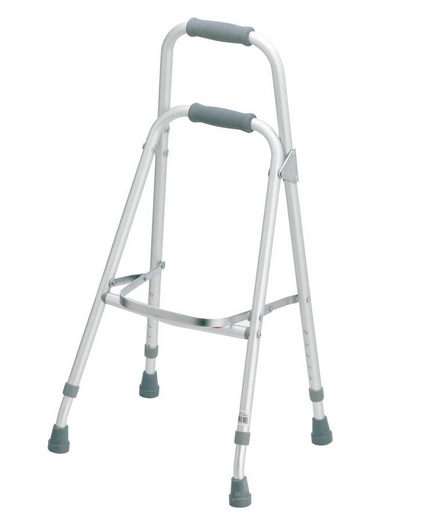 This Lightweight Walker is easy to transport and easy to place into operation. Walker wheels, glides and accessories are available. Height adjustable in 1 inch increments. Easily folds for easy transport and storage. Height: Adjustable 30 - 35 inches. Application: To assist with mobility.